IDBI (Industrial Development Bank of India) invites online applications for 300 Executives post vacancies in various locations. Interested and eligible candidates are advised to read the Notification related details and apply on or before 15th April 2019. Contract Duration: 3 years (Internal Exam will be conducted after 3 years to get promoted under Assistant Manager (Grade A) category. It means the candidate must have been born not earlier than 2nd March 1994 and not later than 1st March 1999. The date of passing the eligibility examination will be the date appearing on the marksheet or provisional certificate issued by University / Institute. 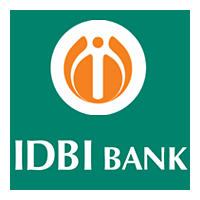 There is no Interview for this IDBI Executives Recruitment 2019. So, the candidates will be selected on the basis of marks obtained in the Online Written Examination (Single). The candidate’s final selection will be done after being found medically fit. The exam will be held on 16th May 2019.